They say a picture is worth a thousand words, so what happens when it’s actually a picture of words? 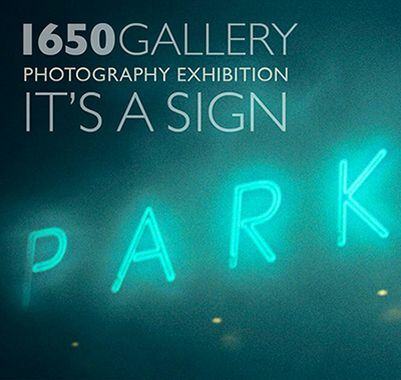 This month 1650 tackles the medium of messaging, with a juried photo competition of the world of signs, words and messages. Motels, street peddlers, shop windows, traffic signs… signs are everywhere, and they all want to talk to us. So send us your billboards, your fridge magnets, your shopping lists and your skywriting… give us your classic neon, your time-worn peeled paint and your ball-point pen on scrap paper. Show us your clever, your factual, even the downright dumb; if it’s some sort of sign, announcement or message that speaks to you, let it speak to us too! This month at 1650, the message is the medium, and the word is the thing, as we explore the everywhere world of SIGNS!